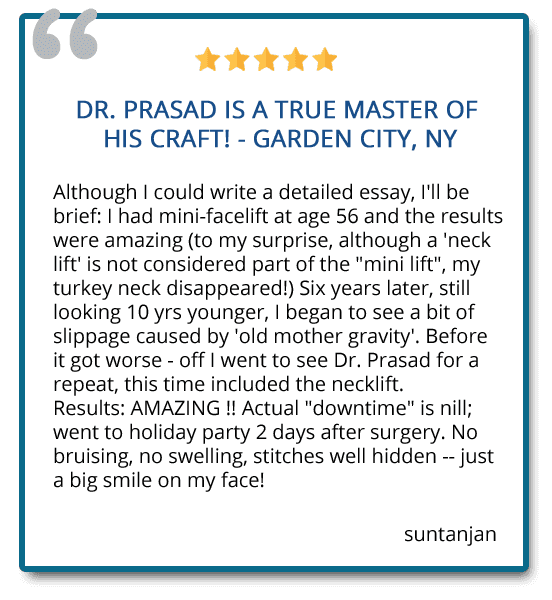 Oculofacial Plastic Surgeon Amiya Prasad, M.D., serving New York City and Garden City believes neck rejuvenation procedures may be combined with other procedures in order to maximize improvement. 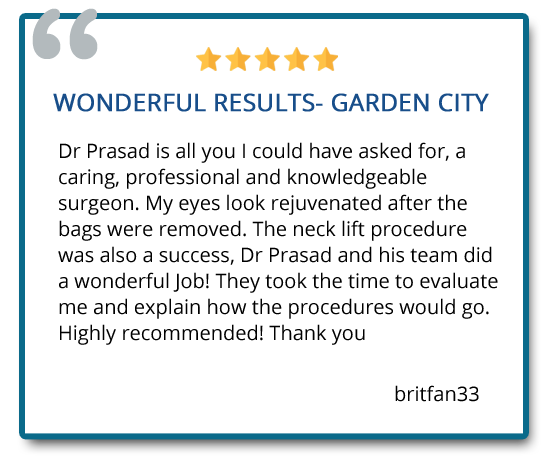 Neck liposuction is accomplished through tiny incisions placed behind the ears and under the chin. 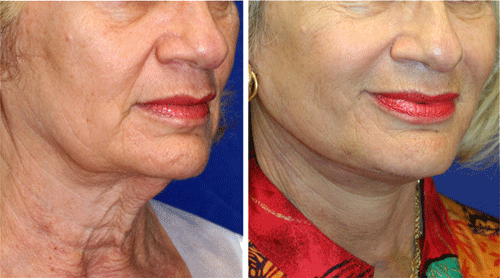 With neck liposuction, little straw-like cannulas are used to suction the fat away. 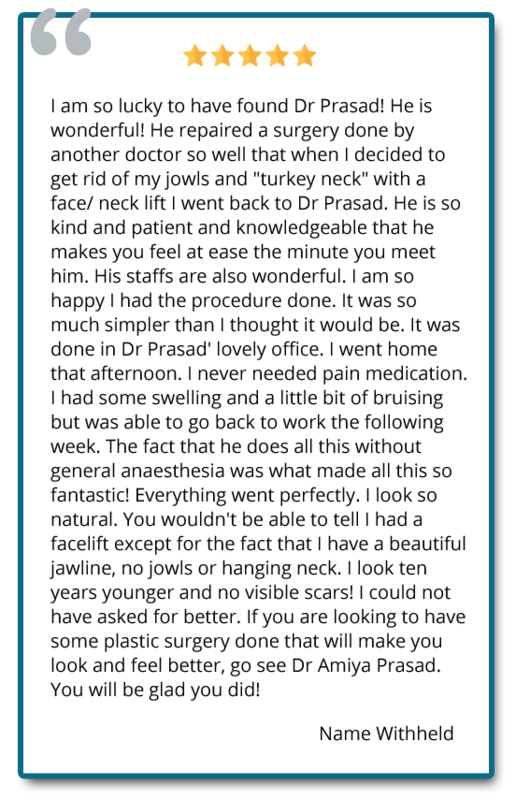 This 62 year-old woman underwent a quick recovery neck lift, which was performed under local anesthesia with light sedation. The after photo was taken ten days after the procedure, and she was able to return to work.